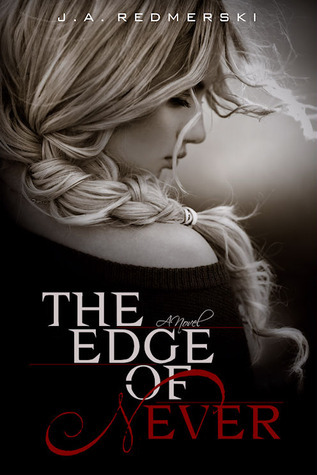 The Edge of Never by J.A. Redmerski. This book. This book. This book. Guys, I think I’m fan-girling right now. This is not very like me due to the fact that I read novels like Anna Karenina or Le Petit Prince; however, as you know, I do enjoy branching out of my comfort zone and trying out different things. I just finished this young adult/early 20’s-mid 30’s novel and did not expect it to have this much emotion or feeling or pop literature genius. Now, okay, I’ve read the Fifty Shades of Grey trilogy by E.L James, and without doubt, it was invigorating and refreshing to have someone write with a devil-may-care, put-me-in-a-blocked-reading-list, I-really-do-not-give- attitude. The scenes between Ana and Christian were not what I read the trilogy for but James’ blunt writing. I never thought another author could give justice to their characters, the plot and never lose their own voice until I read Redmerski. This wonderful story of how I reached extreme happiness started at Target. At 10:24 p.m. on a regular Thursday. In the sale section of the barely-touched, 20% off novels that apparently nobody ever wants. Except me. And boy, am I glad that I stumbled upon this novel. The Edge of Never is a rollercoaster ride, a hurricane worse than Katrina, a twin sister of Ella Fitzgerald. There are moments when I was completely hating the corny dialogue and the stereotypical characters of dominant-versus-submissive (which I hated because it reminded me of Fifty Shades). But then again, I always loved the idea of women finding love in all the wrong places, so this was the perfect book. It is a perfect summer read and the very thing that got me hooked was how much raw emotion was in every character. There were no metaphorical sequences, no epic “It was the best of times, it was the worst of times” introduction; the book consisted of raw emotional content and an organic side to writing. I loved every minute of Andrew Parrish and I loved every minute of Camryn Bennett. Go buy it. Or don’t. But if you’re a girl wanting the perfect “book boyfriend”, then this is the one.